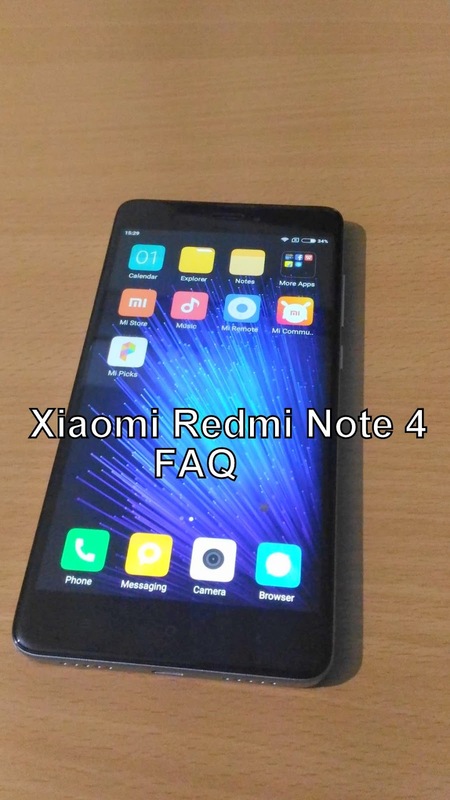 Q) What is Display Size of Xiaomi Redmi Note 4? Q) What is Processor on Redmi Note 4? Q) Redmi Note 4 RAM and ROM Options? Q) Xiaomi Redmi Note 4 protected by Gorilla Glass? Q)Does the Xiaomi Redmi Note 4 have adaptive brightness? Q) How good is the camera quality of the Xiaomi Redmi Note 4? The camera is good. The Redmi Note 4 comes with 13 MP f/2.0 primary camera on the back and 5 MP f/2.0 camera on the front. It has dual-LED (dual tone) flash. Camera features are loaded with phase detection autofocus, HDR, panorama and face/smile detection; camera is well equipped for outdoor and artificial light photography. You can record up to 1080p videos at 30FPS with the Redmi Note 4. 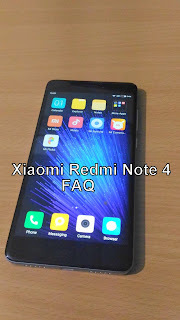 Q)Xiaomi Redmi Note 4 has removable Battery? No Redmi Note 4 don't have removable Battery. Q) Does Redmi Note 4 Supports MicroSD Card? Is it Dual SIM Phone? The Redmi Note 4 features a hybrid SIM card slot. This means that you can either 1 SIM card and microSD card or 2 SIM cards at any given time. The primary SIM slot accepts microSIM cards, while the secondary slot accepts nanoSIM cards. Q) How is Redmi Note 4 Better Than Xiaomi Redmi Note 3? 13MP shooter of the Redmi Note 4 features 1.12um pixels that are bigger than the 1um pixels found on the 16MP Redmi Note 3. The handset is now able to capture photos with better sharpness and contrast, especially in low light.The use of a Snapdragon 625 chipset inside the Redmi Note 4 also makes it more power efficient than the Redmi Note 3. The chipset is not as powerful as the Snapdragon 650 chipset, but the difference is only visible in benchmarks. The day to day performance of both phones is very similar. Q) Where is the fingerprint scanner on the Redmi Note 4 located? Is it touch based? The fingerprint scanner on the Redmi Note 4 is located at the rear, and yes, it is touch based. Q) How many fingerprints can one register on the Redmi Note 4? Q) Can you record slow-motion videos on the Redmi Note 4? Yes, it can but only at 720p @ 120fps. It can also record videos in Full HD resolution at 30fps. Q) Will the handset get the Android 7.0 Nougat update? Yes, it will. Xiaomi will also be releasing a preview build of Nougat-based MIUI 8 for the handset soon. Q) Which version of MIUI does the Redmi Note 4 run on? The Redmi Note 4 runs on MIUI 8 out of the box. Q) Does the Redmi Note 4 support LTE and VoLTe networks? Will a Reliance Jio SIM work on the phone? Yes, it does support LTE and VoLTE out of the box. Unlike many other phones, the handset will also work with a Reliance Jio SIM out of the box. Q) Is the battery life of the Redmi Note 4 really that much better than the Redmi Note 3? Yes, the Snapdragon 625 chipset inside the Redmi Note 4 is significantly more power efficient than the Snapdragon 650 chipset inside the Redmi Note 3 which is why the handset is able to deliver up to 20 percent better battery life despite coming with almost the same capacity battery. Q) Is Quick charging 2.0 supported on the Redmi Note 4? Q) How much time it takes to charge Full Battery? Q) How much free storage space does the Redmi Note 4 have out of the box? Yes, you can uninstall or disable some pre-installed apps on the Redmi Note 4, but not all. Q) Are the capacitive keys on the Redmi Note 4 backlit? Yes, the capacitive keys on the Redmi Note 4 are backlit. Q) What colors are the Redmi Note 4 going to be available in? The handset will be available in Black, Gold, and Dark Grey colors. The Gold color variant comes with a white front. Q)What contents do you get inside the retail box of the Redmi Note 4? You get the phone, a 2A charger, a USB cable, SIM ejector tool, and some regulatory papers. Q)What is the weight of the Xiaomi Redmi Note 4? The device weighs 175 grams. Q) Does the rear camera have a dual tone LED flash? Yes, rear camera comes with dual tone LED flash. Q)What all sensors does it have? Xiaomi Redmi Note 4 comes with fingerprint, accelerometer, gyro, proximity, light and compass. Q)How loud is the loudspeaker? Q) Where to Buy Redmi Note 4?